LAHORE: Former prime minister Nawaz Sharif and Punjab Chief Minister Shahbaz Sharif held a meeting at Jati Umra here on Sunday and reportedly discussed the issue of taking veteran politician Makhdoom Javed Hashmi back into the party fold. As Senator Asif Karmani, a political secretary of Mr Sharif, did not confirm Mr Hashmi’s rejoining of the PML-N, a source in the party told Dawn that Nawaz would meet Hashmi after taking some key members and those opposing his inclusion from Multan on board. He said some PML-N leaders from Multan, including the city mayor, were against Mr Hashmi’s comeback because it might affect their political clout in the area. A PML-N leader in Multan told Dawn that Nawaz might meet Hashmi on Monday (today) in Islamabad. The source further said Railways Minister Khwaja Saad Rafique was on the forefront in convincing the leadership to bring the old guard back into the party fold. “Rafique was the one who was very close to Mr Hashmi when the latter chose to part ways with the Sharifs for not acknowledging his political struggle during the Musharraf era. Rafique also stayed in contact with Mr Hashmi even during his two-and-a-half-year stay in the PTI,” he said, adding Rafique told the leadership about the importance of Mr Hashmi in the current political scenario as the PML-N was in dire need of true democrats like him. A member of Mr Rafique’s personal staff told Dawn that the minister would return this correspondent’s queries on the matter but he did not. 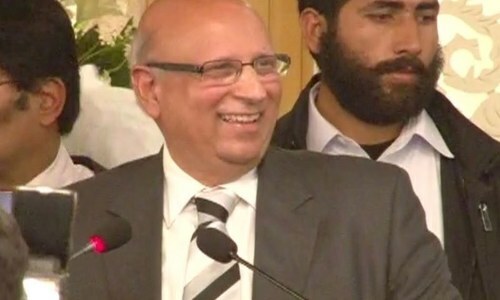 PML-N leader from Punjab Mehdi Haider told Dawn that Mr Hashmi was widely respected in the political circles, especially in the PML-N, and his return would be welcomed if the leadership decided (to take him back). As Mr Hashmi is non-committal about his rejoining PMLN, another source said the party leadership had ‘greater plans’ for him. “One party leader has proposed fielding Mr Hashmi against Pakistan Tahreek-i-Insaf chairman Imran Khan in the 2018 election,” he said. Hashmi had joined the PTI in December 2011 after developing differences with Nawaz Sharif for completely ignoring him on his return from exile in 2007. “I have waited four years to join Imran Khan,” Hashmi had then said. Imran Khan also had declared his joining PTI as “ideological revolution”. Hashmi subsequently said goodbye to PTI during its Islamabad sit-in in 2014 with a claim about “a scripted plan to overthrow the PML-N government, using violent protests as a pretext.” He had accused Imran Khan of bypassing a decision of the PTI’s core committee not to join Dr Tahirul Qadri’s march on Prime Minister’s House after receiving a message from ‘somewhere’.